Will Amazon’s “Pop” Into Retail Mean Opportunity For Tech Vendors? Two decades ago a spunky start-up called Amazon.com rendered retail obsolete in many sectors with its shrewd leveraging of then burgeoning web technologies. Now, in the true spirit of everything that’s old eventually becoming new again, Amazon, presently the 800-pound gorilla of all things eCommerce, is set to bring back brick and mortar with a distinctly digital twist following the announcement of plans to open over 100 pop-up stores this year. As shopping malls and traditional retail face losses, there are tremendous opportunities for companies to utilize pop up stores as commercial lease companies become more willing to negotiate short-term leases. Amazon’s foray into pop up store segment is the beginning of a trend that presents a unique opportunity for eCommerce, network security solutions and data analytics providers to begin aligning with the needs of the pop up. If you haven’t ventured into a shopping mall since the days when they had record stores and pay phones, you probably aren’t familiar with the growing phenomenon of pop up retail. In short, a pop up shop is a pared-down version of a traditional retail space, falling somewhere between kiosk and storefront in design, often a sleek intuitive layout that may remind you of a physical version of your favorite eCommerce site. They “pop up” quickly, often to launch a particular product or seasonal offering. With a business model placing a premium on speed and cost efficiency, physical fixtures and human staff are generally kept to a minimum, meaning technology is vital to every facet of pop up operations. Mobile checkout through the use of tablets is already the standard among the boutiques that first embraced the pop-up model, and the corporate players now entering the space are following suit. Many of Amazon’s pop-up locations will forgo check out clerks all together. Given its existing ecosystem of eCommerce solutions, it seems likely that Amazon will source its stores internally. However, other major retailers that have tested the pop up waters, like Target, utilize eCommerce offerings from outside vendors like IBM and Endeca Technologies in conjunction with their internally developed point of sale (POS) systems. The stark differences between pop up shops and traditional storefronts may require some retailers to adapt their POS systems, presenting a unique opportunity for vendors who can help to bridge gaps and facilitate a smooth transition. Amazon.com, Inc. – Amazon is on pace to open 100 pop up stores in 2017, largely highlighting its consumer technology offerings. ebay, Inc. – ebay introduced its high tech pop up shops in 2012, and has popped up in new locations each year since. In 2016, ebay’s London pop up pioneered facial analysis technology that suggested Christmas presents to purchase based on users’ facial reactions. Target Corporation – A true early adopter, Target opened its first pop up in 2002, and has utilized temporary store fronts for seasonal retail and concept testing for operational innovations ever since. Tesla Motors, Inc. – Tesla zipped into the pop up world in 2015 to announce the arrival its Model S around the country. State of the art storefronts allowed visitors to virtually explore the car, and even design their own vehicle on in-store computers. Samsung Electronics America, Inc. – Samsung began utilizing temporary pop up locations in 2012, and has since incorporated them into the rollout of new products. In 2017, the company opened pop ups in Singapore and Taiwan in conjunction with the launch of its new line of Galaxy smartphones. Perhaps the greatest pop up pain point is security. Due to their minimalist set-up, pop ups are far more likely than traditional stores to have employees use public wifi rather than a separate network. Given the locations’ reliance on exclusively digital transactions, the amount of data shared and stored daily at the average pop up could cause irreparable damage to a brand if a store were hacked. Similarly, if in-store POS transactions are being communicated to a corporate network, the in-store system should be secured with a VPN connection or alternate layer of encryption. Thus, sellers of nimble and versatile network security solutions could find great opportunity in the pop up space. Real time data collection and analytics may also prove conducive to flagging security risks at pop ups. Some high end video surveillance systems are equipped to integrate POS transaction data to track patterns of customer transactions and employee activities. Statistical deviations can indicate potential instances of theft, fraud, or misuse of employee codes. Effective organization and analysis of such data could also yield valuable operational insights, allowing pop ups to further tailor their still-evolving best practices towards efficiency. Providers of versatile data analytics solutions, particularly those conducive to fast paced eCommerce and digital retail operations, might be wise to begin aligning with the needs of the pop up. From eCommerce to eReaders and consumer level cloud services, Amazon has shown an uncanny knock for catching cresting trends, and riding the waves into cultural ubiquity. If the company’s aggressive foray into pop up retail proves a similar harbinger, the coming years could be defined by the melding of traditional retail technologies and their eCommerce counterparts to create an IT ecosystem uniquely suited to the hybrid nature of the space. Vendor’s who begin cultivating the market now could reap the benefits for years to come. 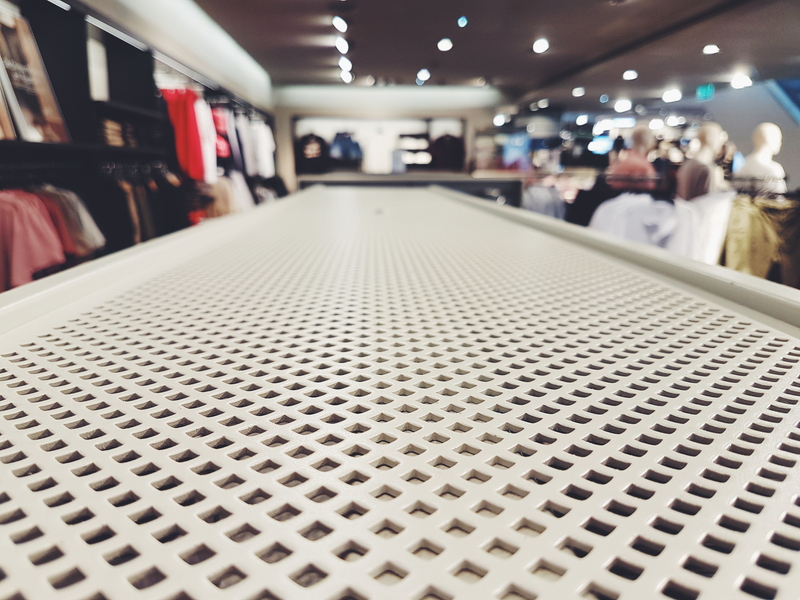 Bottom Line: While reports of retail’s demise may be overblown, the coming years may well mark a shift towards ecommerce models re-making the physical marketplace in the mold of the digital marketplace. As a result, the same technology challenges facing digital retailers will likely become more prevalent in brick and mortar stores. Opportunities for vendors of information security, data analytics, and hybrid POS solutions may soon grow plentiful in the pop-up space. Have a question or comment? Contact CGA at info@cambridgeglobaladvisory.com..